Misdemeanor criminal charges are offenses that are non-indictable and are less severe than felony criminal charges. A misdemeanor may be punishable by a jail sentence of up to one year, but no more than one year. They may also be punishable by fines, probation, restitution and/or community service. Types of offenses that constitute a misdemeanor criminal charge include traffic violations, DUIs, probation violations, trespassing, disorderly conduct, assault and battery, petty theft, domestic violence and more. Some of these crimes can be charged as felonies depending on injury, loss, if a weapon was used or if the defendant has criminal priors. While a misdemeanor criminal charge is less serious than a felony, it still carries heavy penalties and punishments that can affect your future. A misdemeanor criminal charge will stay on your record for a long time and can result in loss of employment, financial issues, and further trouble with the law if accused of any future offenses. A criminal law attorney may be needed to help minimize these consequences. A criminal attorney with experience in misdemeanor criminal charges will defend you in trial and may be able to help get your charges dropped or penalties drastically reduced. Attorney Search Network can provide you with an experienced misdemeanor criminal charge lawyer that will provide you with the best defense possible. If you or a loved one is facing a misdemeanor criminal charge, you deserve to have an attorney on your side that will defend your rights. Contact Attorney Search Network today for a lawyer referral to a criminal law attorney with experience in fighting misdemeanor criminal charges. If you have any questions about the information provided above, please contact us. 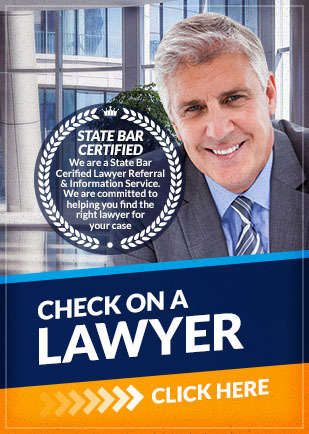 Call us toll free at (800) 215-1190 or fill out out online form for a lawyer referral to a criminal law attorney with experience in Misdemeanor Criminal Charges cases.